As a parent, you have enough to worry about as it is. You don’t need to fret over the safety of your home, as well. And unfortunately, unsecured windows may increase the risk of falls and other accidents. However, with the right products installed in your space, you can virtually eliminate the dangers posed by unsecured windows—and get yourself some precious peace of mind. A carefully selected lock can be an effective childproofing solution. Not only do they prevent unnecessary accidents, they also provide extra protection against burglars. Of course, it depends on the type you install. Latches and lag screws offer some security, but an observant little one may eventually figure out to undo the lock unbeknownst to you. A keyed lock, on the other hand, works only with a matching key, so even the most curious kids can’t get out without a spare one in hand. However, in the event of a fire or other life-threatening emergency, a nearby window might offer the safest route out. And a locked window might render it virtually useless as an emergency escape. Therefore, it’s absolutely crucial that you work out an emergency plan with your family beforehand. That way, your kids will know exactly what to do in case of fire. When the weather’s fine, throwing open the window can let in some much-needed breeze. But they also pose hazards to curious kids. Obviously, children should never be left unattended around open windows. However, you can reduce the risk of accidents by opening only the highest ones in your home—those well out of reach of your children. Also move nearby furniture so that it can’t be climbed. If you frequently open the windows, you may want to consider purchasing double hung windows for a window replacement project. Double hung windows can be opened from both the upper and lower portion of the frame. You can latch the lower half and just open the top, keeping them well out of reach of your little ones. Blind cords aren’t just frustrating to operate. They also pose a strangulation risk for young children who can become tangled in the cord. Integral blinds, however, eliminate this hazard completely. They sit between the two panes of glass in the window, rather than over the frame. This allows them to be operated without involving a cord at all. Windows either have a magnetic slide that can moved up and down along the window pane to manipulate the blinds, or they rely on an external remote control system. Your toddler can play with these controls to their heart’s content and never put themselves in harm’s way! 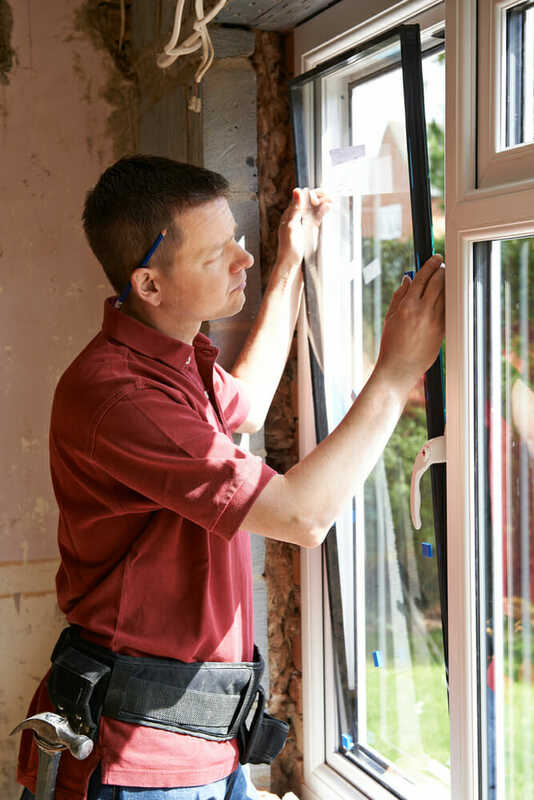 And while your family’s safety is obviously your top priority, integral blinds also come with several other benefits that make them preferable to traditional shades. The glass panes over the blinds actually protects them, keeping them free from dust and dirt that can be a real headache to clean. Additionally, if have a particularly playful cat, this can keep them from destroying your window treatments. Window guards, charley bars, and wedges are additional features which you can retrofit to windows to add extra security. Window guards consist of mesh panels or metal bars that fit over the lower portion of the window. Typically considered parents’ best measure against accidental falls, guards offer protection that screens alone cannot provide. However, keep in mind that there are similar products on the market, designed expressly to prevent break-ins and increase home security. These will not guarantee your child’s safety. Therefore, when selecting your window guards, read the packaging carefully to make sure the guard is made to stop falls. Additionally, you should always keep at least one window in your home guard-free to use in case of emergencies. For sliding glass windows (and sliding glass doors), a charley bar installed over one of the panes can prevent very young children from opening them and putting themselves within harm. However, keep in mind that bars are a pretty simple mechanical device, so it may not be long before your toddler has figured out how to lift them up. On the other hand, window wedges—also called window stops—are compatible with both sliding windows and single and double-hung models. The word wedge describes them perfectly—they fit into the window track to render the sash inoperable. So you can keep windows open a crack to let in fresh air without worrying about accidents. 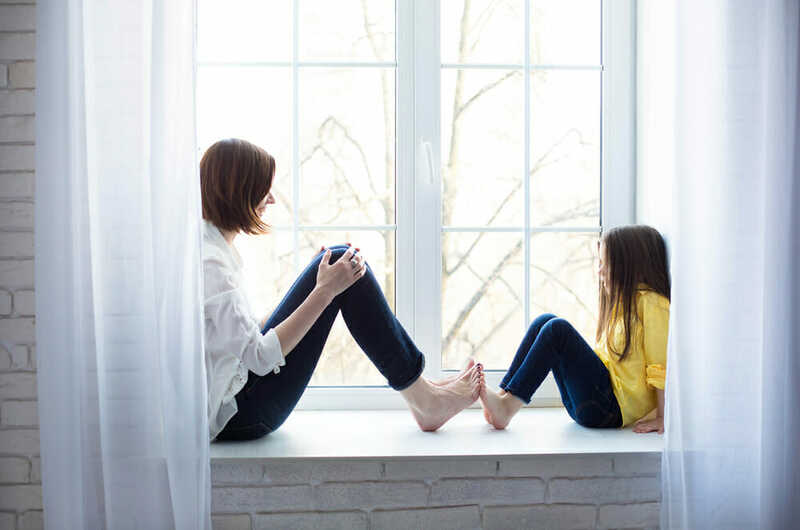 By carefully selecting the right safety products and features, you can maximize your window’s security and keep your whole family safe.